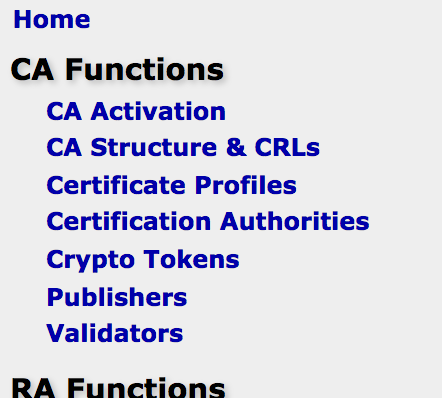 As requested by some customers running EJBCA instances as RAs over Peers, this feature is similar to the key recovery feature long used in EJBCA in that it stores generated soft keys encrypted in the database, but with the purpose that the soft keys are generated on the RA (instead of on the CA). The purpose of this is security - where the owner of the RA doesn't wish for the keys to ever be transmitted to the CA but merely be signed. 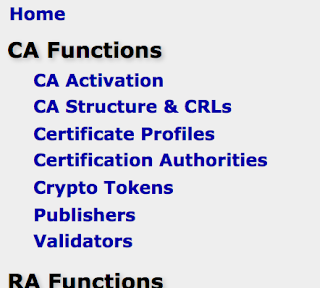 Since this feature requires an EJBCA instance running as RA, it only applies to Enterprise customers. 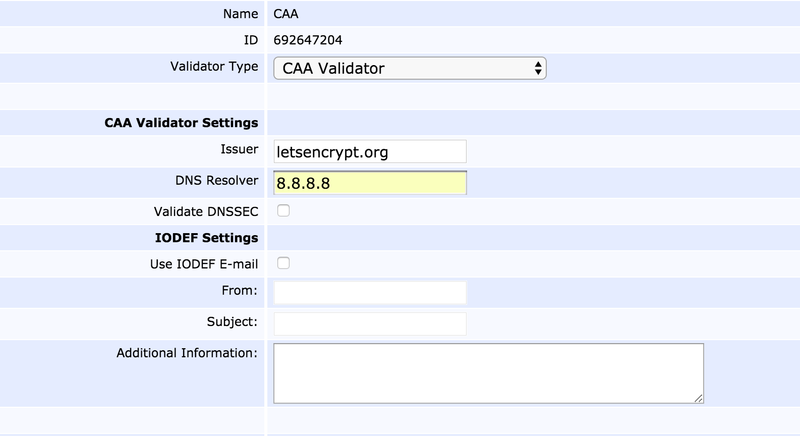 This allows for setting a description, restricting application of the Validator to certain certificate profiles and to define behavior in cases where the Validator fails (to abort issuance or to merely log and warn), or if the Validator was applied to a value it couldn't validate (such as an RSA validator on an ECC key). 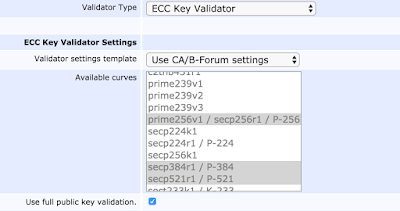 We can see immediately that the Validator gives control over exponent size and modulus, as well as restricting key sizes to either a custom list, to those set by the Certificate Profile or to the CA/B-Forum recommendations. We've also developed an API for blacklisting signing requests based on known information. 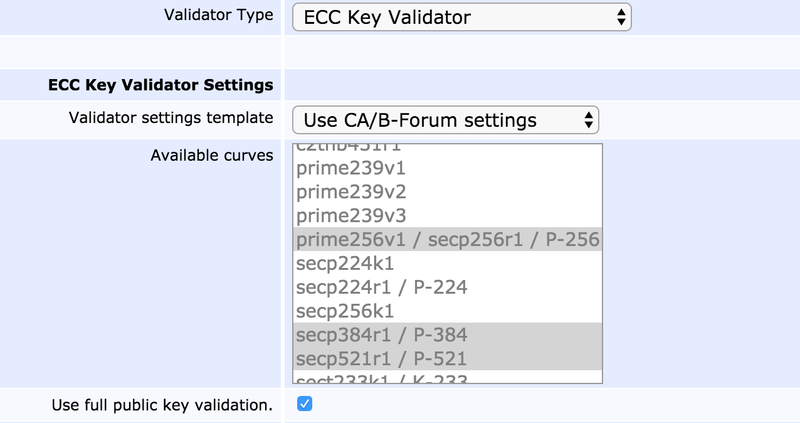 In EJBCA 6.9.0 we've implemented a Key Blacklist Validator, which will check incoming certificate requests against a user defined blacklist of known bad keys. 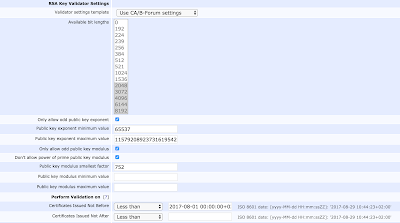 This command can also be used to upload a complete list of blacklisted keys. PrimeKey Solutions can provide list of known bad keys as compiled by the metasploit project, contact us for more info. 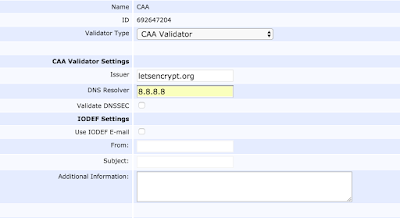 This Validator allows specification of issuer, DNS Resolver and whether to validate DNSSEC for results, as well as options for how to handle IODEF statements. 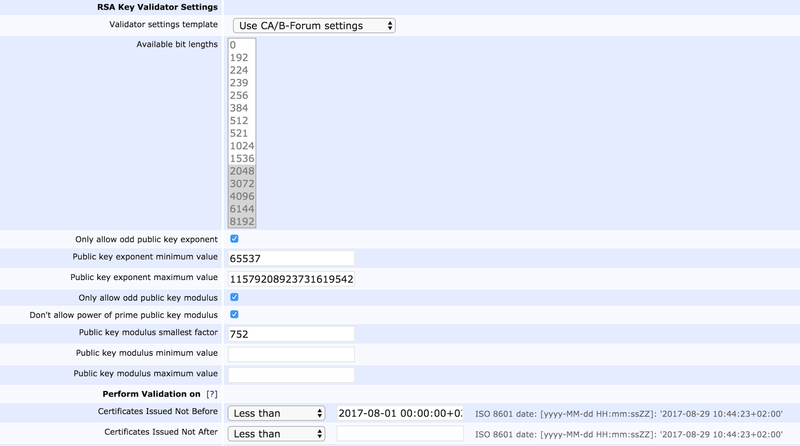 Note that EJBCA doesn't support WebService IODEF calls (RFC 5070) yet. 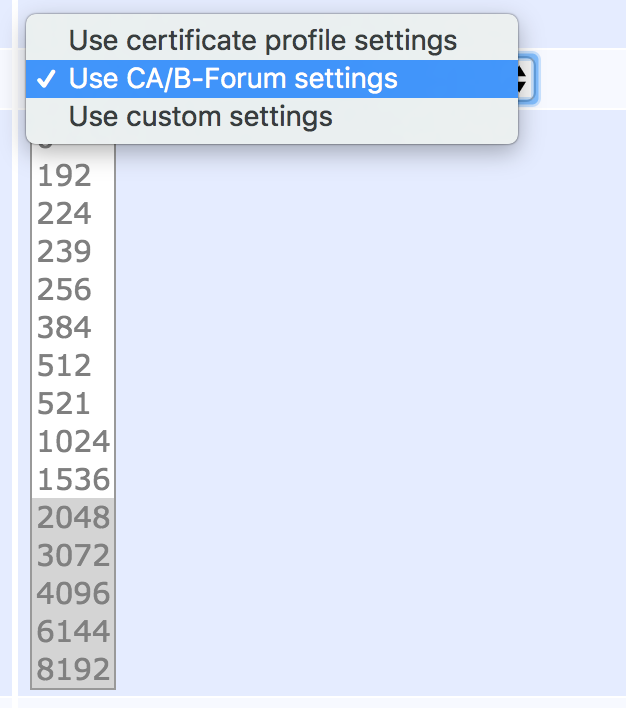 CAA support is an Enterprise only feature.